The energy sector of the S&P 500 continues to show plenty of resiliency versus the broader stock market as well as in absolute terms. The largest holding of the energy sector are shares of Exxon Mobil (NYSE:XOM), making up nearly 23% of the sector. XOM stock is looking bullish in multiple time frames. Active investors and traders could look to sink their teeth into this one. Because relative performance at the margin makes all the difference — i.e it’s what separates winning portfolios from losing or underperforming ones — let’s gain some perspective as to the performance of energy stocks of late. Year over year, the energy sector is up close to 12.5%, outperforming the S&P 500 marginally and making it the fourth best sector. Month over month, however, this sector is up 6.5% and by far the best sector performance of the S&P 500. While past performance certainly does not guarantee future performance, as we will see on the following two charts, XOM stock in particular looks poised to continue this rally. On the multiyear weekly chart, we see that XOM stock has over the past couple of years routinely found resistance at a simple diagonal line. Each time just as the stock pushed above its red 200-week moving average it would again fail hard to the downside. The setup this time around, however, is different in that the moving averages are all more closely together and that this latest assault of the black diagonal resistance line is coming after a multi-month consolidation period in the stock. Lastly, on the lower part of the chart in blue I added the relative performance of XOM stock versus the S&P 500. Note how the stock has been showing not only absolute but also relative strength. This is not bearish. On the daily chart, we see that after a good rally from mid-August into mid-September, XOM stock over the past couple of weeks has once again begun to consolidate. This latest consolidation phase is taking place above the previous technical resistance area (blue horizontal around the $84 mark) and is taking the shape of what one might refer to as a bullish flag pattern. This type of simple technical pattern has, as the name implies, bullish tendencies for the stock price. From here, the stock looks like it’s eyeing a next upside target closer to the $90 mark, while any strong bearish reversal and break below the $84 area would be a stop loss signal and one would be best off only to re-enter after a next strong bullish reversal. So you know, Exxon Mobil is scheduled to report its next batch of earnings on Nov. 2, and from a swing trading perspective I do not like to hold trades through earnings reports. 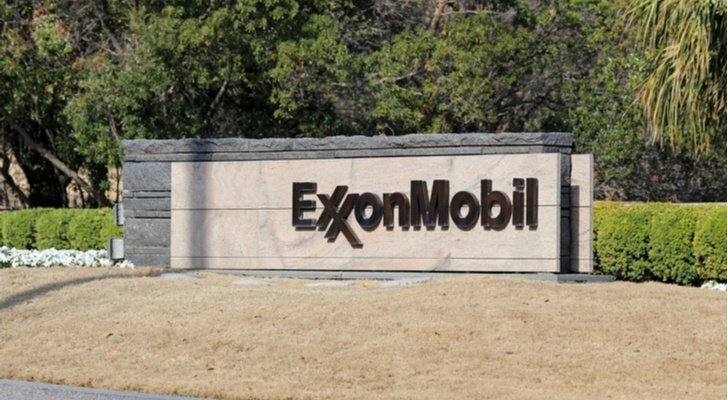 Article printed from InvestorPlace Media, https://investorplace.com/2018/10/trade-of-the-day-exxon-mobil-stock-is-coiling-for-a-next-leg-higher/.